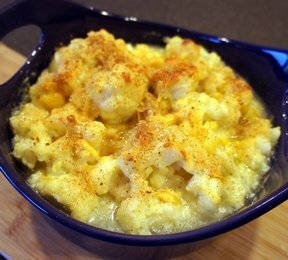 Cheese and cauliflower is a favorite around most households. 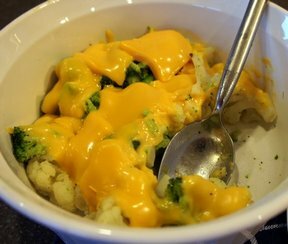 You can use processed cheese as it melts better but if you prefer cheddar cheese, this tastes delicious also. 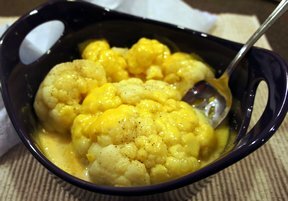 Place cauliflower in a pot and cover with water. Bring to a boil and cook until tender, less than 10 minutes. Drain water and top with cheese. Season with salt and pepper. 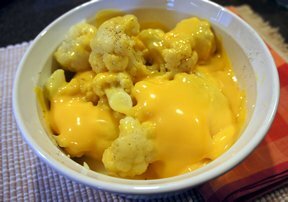 Let stand with a lid on while cheese melts over the cauliflower. "Oooh, this sounds good for supper tonight!"